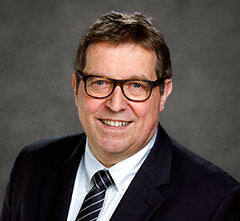 Franz Gaag brings a breadth of knowledge and experience to his role as the LifePharm Regional Vice President, Europe. Franz spent much of his early career working with traditional international Fortune 500 companies. For the past 12 years, he has successfully worked with leading network marketing companies in various positions, including Managing Director and CEO. He is an expert in strategic planning, business management and market development. Franz is the first LifePharm executive to reside outside of the home office in Orange County, California. He lives in and works from Switzerland, and is fluent in English, German and French. Franz is married with four children and 11 grandchildren.